josh & i recently had dinner with some of his co-workers before an event. we ended up at de cero taqueria on w. randolph street in the west loop. randolph has become quite the culinary hot spot in the past several years. so i was super excited to try de cero. anyway, de cero is a "modern day taqueria specializing in hand-pressed, made-to-order tacos." sounds perfect! 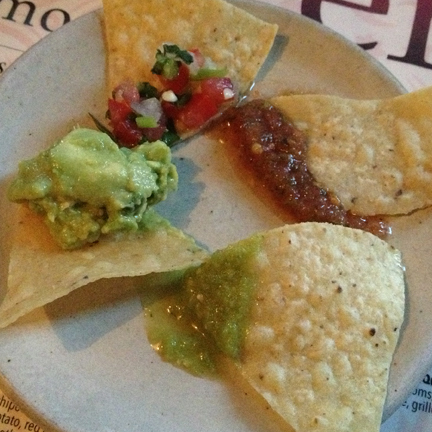 pico de gallo, red picante, tomatillo verde & guacamole. salsas = fresh & flavorful. guacamole = creamy avocado goodness. chips = crispy & light. 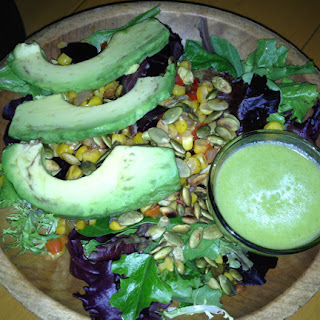 mixed field greens, toasted pumpkin seeds, roasted beets, avocado & corn w/ cilantro jalapeño vinaigrette. YUM! super tasty. so many fresh ingredients. the dressing was awesome & the pumpkin seeds added the perfect amount of crunch. can't ask for much more when it comes to a salad! avocado : white onion, garlic, jalapeño, radish & cilantro. 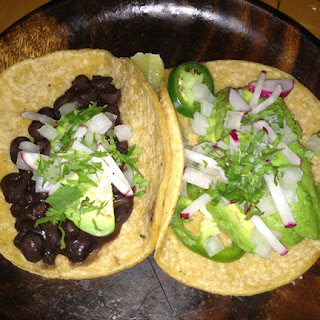 black bean : avocado, white onion, garlic, radish & cilantro. both tacos were delicious ... and overflowing with ingredients. in the best way, of course. these items are literally all the vegan options that de cero has on their menu. but these options are really. super. awesome. for some fresh & delicious mexican food, de cero is a great choice.